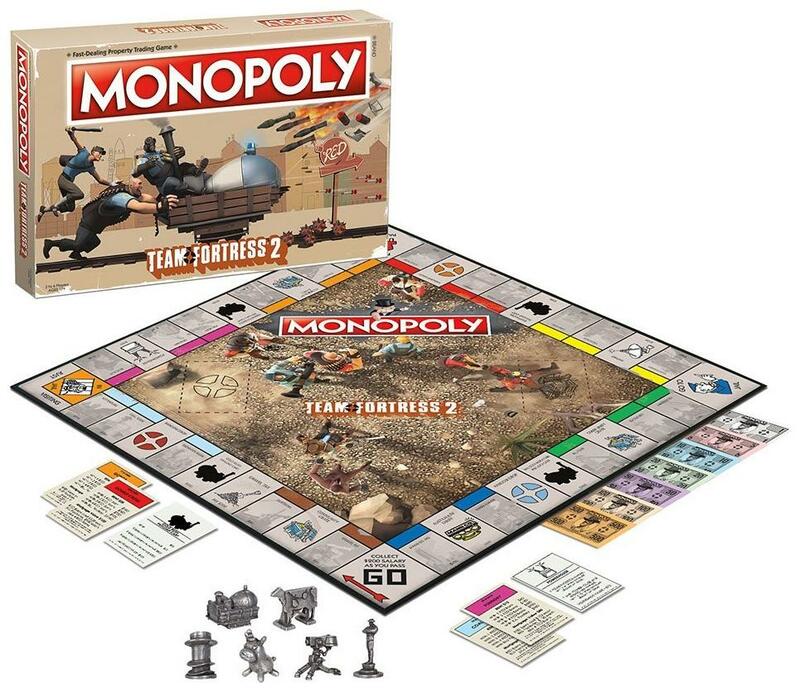 Monopoly: Team Fortress 2 brings the battle for your favorite maps to the table tops! Monopoly: Team Fortress 2 letâ€™s players fight for (and defend) their title of King of the Hill by spending their Saxton Bucks, building up properties with RED Barns and BLU Factories, and traveling across the board using one of six custom tokens! This special edition offers fans of Valve Softwareâ€™s team-based, first person shooter a custom twist on classic gameplay. Tokens represent significant items from the Team Fortress 2 game, including the Towering Pillar of Hats, Balloonicorn, Saxxy, Sentry, Wooden Cow Cutout, and the Bomb Cart. 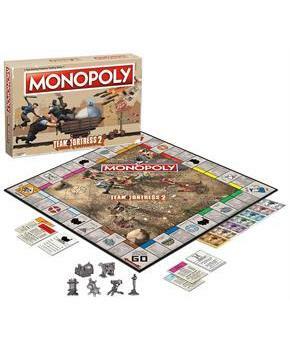 Includes: 6 custom Tokens | 1 custom designed game board | Red Barns and BLU Factories (Houses and Hotels) | Custom Community Chest and Chance Cards | Saxton Bucks (MONOPOLY money) | Instructions.